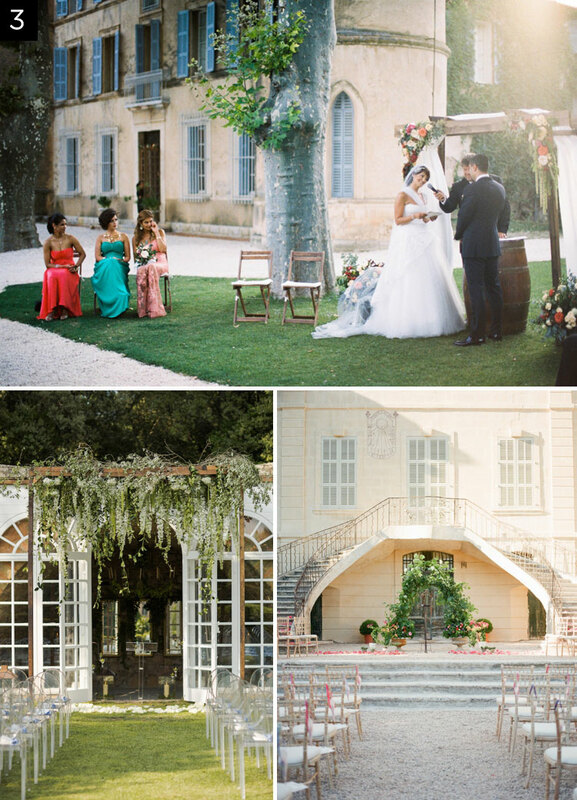 If you’re dreaming of an outdoor wedding there’s probably no setting more stylish and idyllic than Provence. 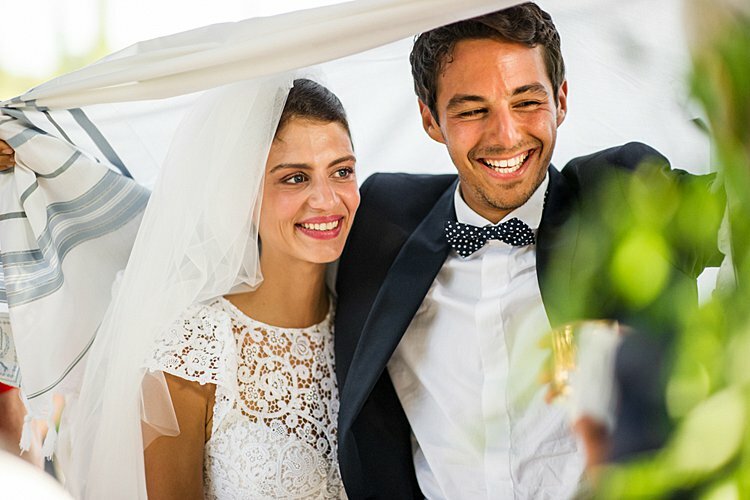 Forget the billionaires and big boats of the French Riviera, Provence is now the place to hold your Jewish wedding in the South of France. 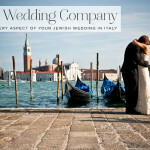 Tuesday’s real Jewish wedding, planned by the flawless Lavender & Rose illustrated the region’s timeless elegance brilliantly, and you simply must take a peek if you haven’t already (might I just add that all the images of Provence weddings in this post are from weddings planned by the fabulous Lavender & Rose). 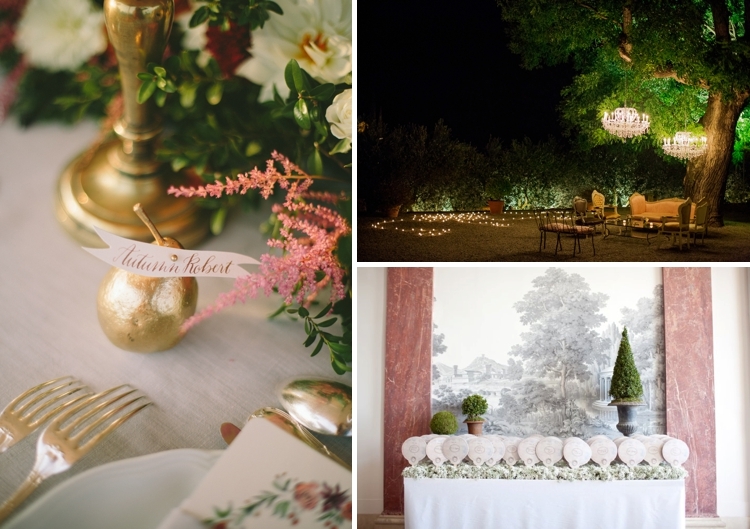 A lot of people think of the South of France for a destination wedding, and immediately think of the Cà´te d’Azur as the place to hold it, but there are so may reasons why, for me, Provence eclipses its glitzier neighbour. Aside from the obvious advantage of being better value for money than the Riviera, it’s actually more of an authentically French setting. 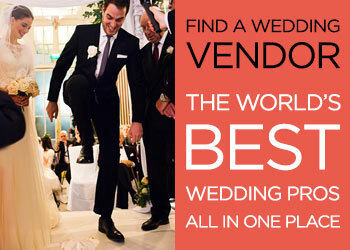 The sprawling vineyards, lavender fields, exquisite architecture, stunning al fresco venues, and exclusive hotels makes for a dream destination wedding backdrop. There are so many beautiful ChÃ¢teaus, vineyards and country houses in the region, and accommodation is far more reasonably priced than the Riviera, so it’s more economical for your guests to stay there too. 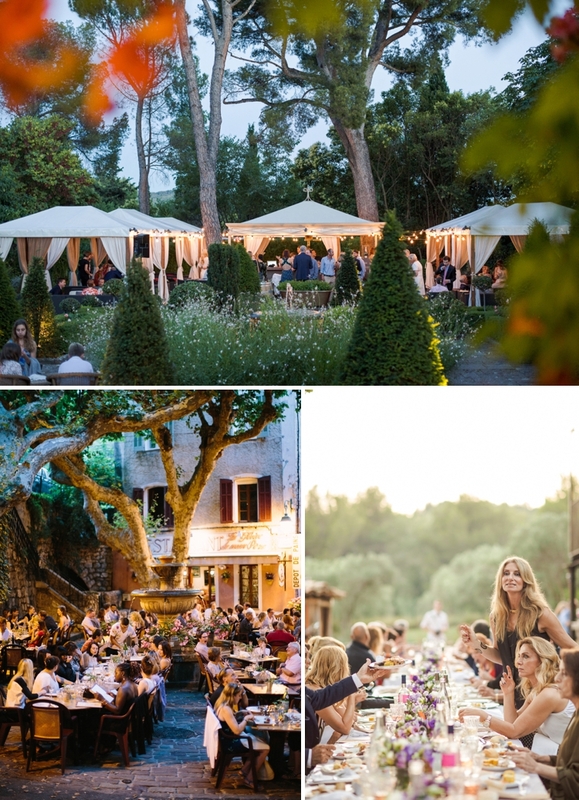 The gastronomy and wines are exceptional even in the smallest of bistros and more of the venues in Provence work on a dry hire basis with less strict exclusive vendor relationships so you have more freedom in terms of which suppliers you work with. But the big reason for me is it’s a destination where open air receptions and the obligatory crazy Jewish dancing work so well. 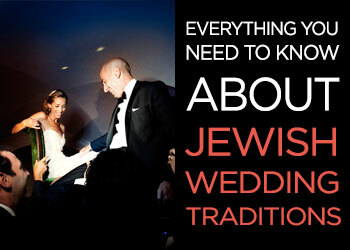 At Jewish weddings everybody wants to dance before, (sometimes during! ), and after every course of dinner, and when partying “al fresco” on the French Riviera this is virtually impossible to achieve. 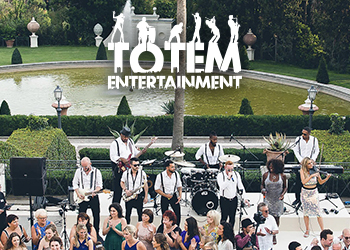 It’s a very densely populated area so sound restrictions prevent loud music outdoors and at almost every venue, the guests have to move indoors for the dancing. 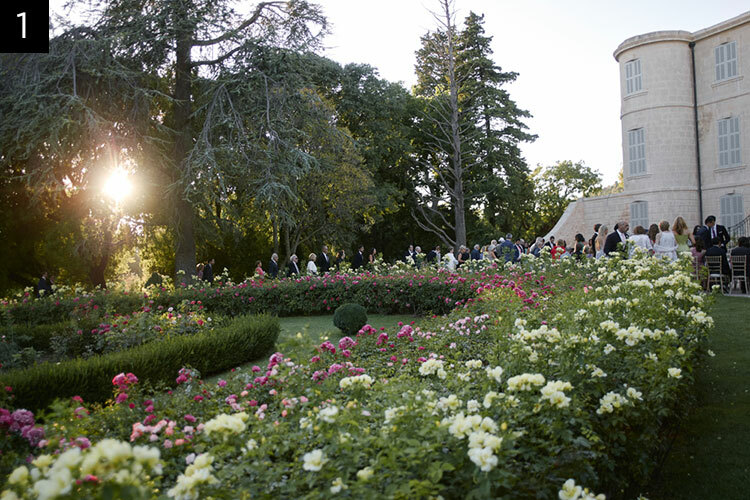 In Provence, you can have loud music and dancing outside without any time restrictions — keep dancing until dawn if you like — nothing, and no-one is going to stop the party! In terms of travel connections, it can’t be beaten, with Marseille airport conveniently located for all your guests. They can even arrive by train if they’d like to — I’ve been lucky enough to visit Provence several times and have always traveled there by Eurostar from London. 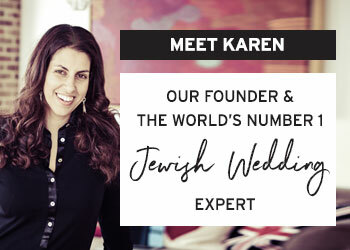 Kerry and Jennifer from Lavender & Rose (the South of France’s top wedding planners whose work I’ve featured on the blog for both Provence and Riviera Jewish weddings) are experts in planning W Days all over the South of France and have the following handy tips for you if you are planning a Jewish celebration in the region. Adapt the schedule of the wedding day according to the heat and light. 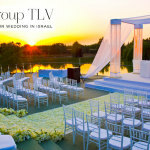 Aim to have the chuppah in the late afternoon and pick a spot where you and your guests are not in the blazing sun. Make sure you have time with your photographer for couples photos and family formals in the best light, which is that wonderful pre-sunset glow. Other than perhaps California and Tuscany, Provence really has the most exceptional golden light in the world, softly diffused over the landscape prior to sunset. Let yourself be influenced by the venue and setting for the dà©cor. 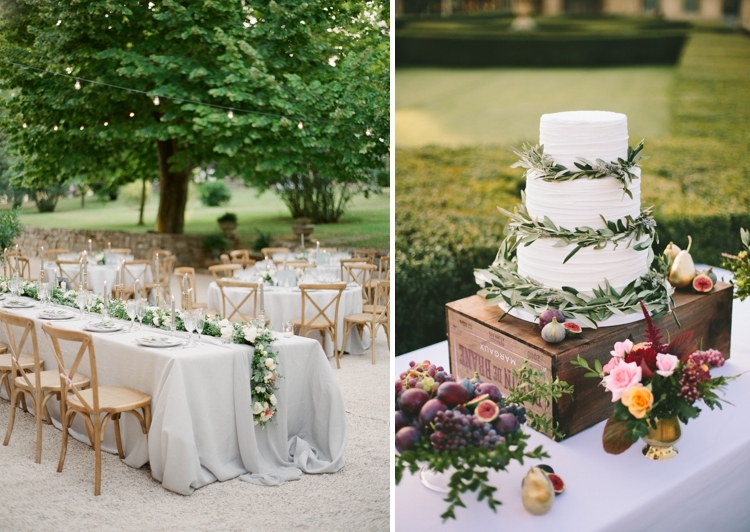 For example, if your wedding is in a vineyard, don’t use white flowing drapery for the chuppah, use climbing greenery and vines on a wooden structure with natural linen fabric covering instead. Purchase heel protectors for the ladies. 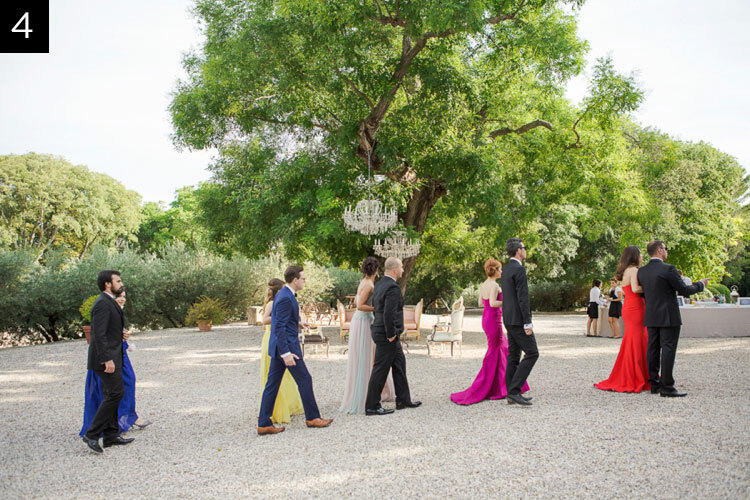 Many venues in Provence are outdoor with grass and gravel and female guests will appreciate the attention to detail to protect their heels. 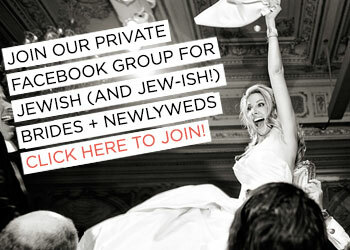 Be open to working with a non-kosher catering company if you can. 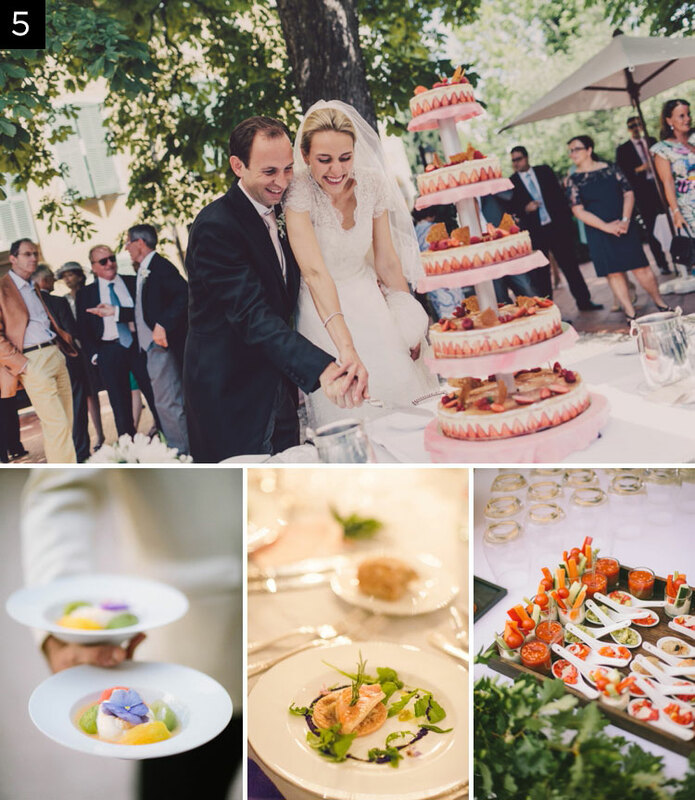 By using local Mediterranean and Provencal produce, you can create a beautiful menu using local seasonal vegetables and fish, not forgetting an amazing buffet of French dessert delicacies! I’ve met Kerry and Jennifer in person and I cannot recommend them highly enough. 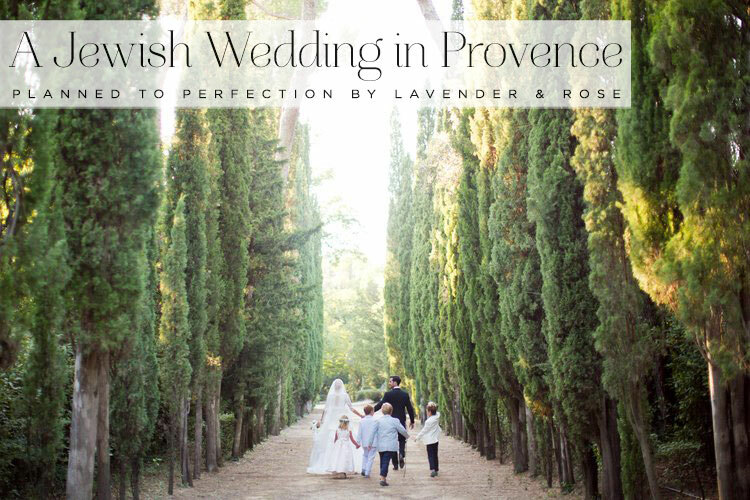 As well as knowing Provence inside out, they are experts in organising every aspect of Jewish (and Jew-ish) weddings on the French Riviera too. 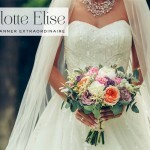 Speaking fluent English and French with the most exquisite portfolio of weddings under their belts, these two are your ultimate go-to girls. 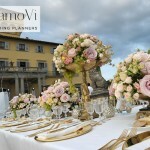 Take a look at some glowing reviews from Lavender & Rose’s happy couples. 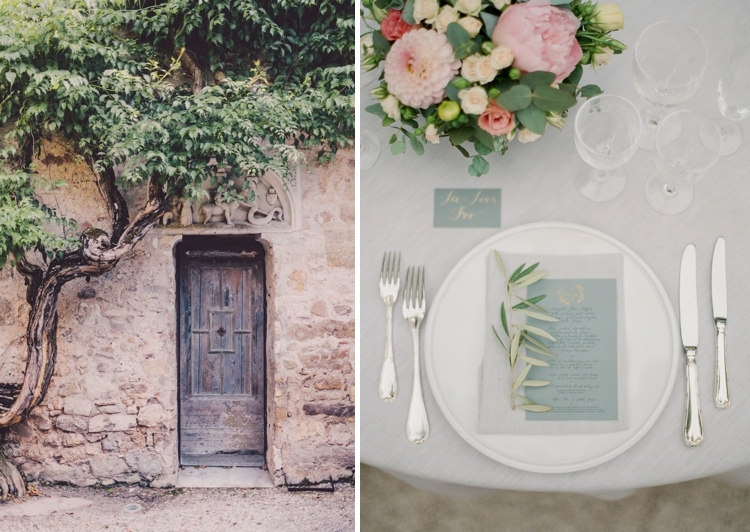 To contact Lavender & Rose and set the stage for your South of France wedding, email contact@lavenderandrose.fr or call them directly on +33 (0)6 86 62 91 71 (Kerry) or +33 (0)6 18 26 45 42 (Jennifer). 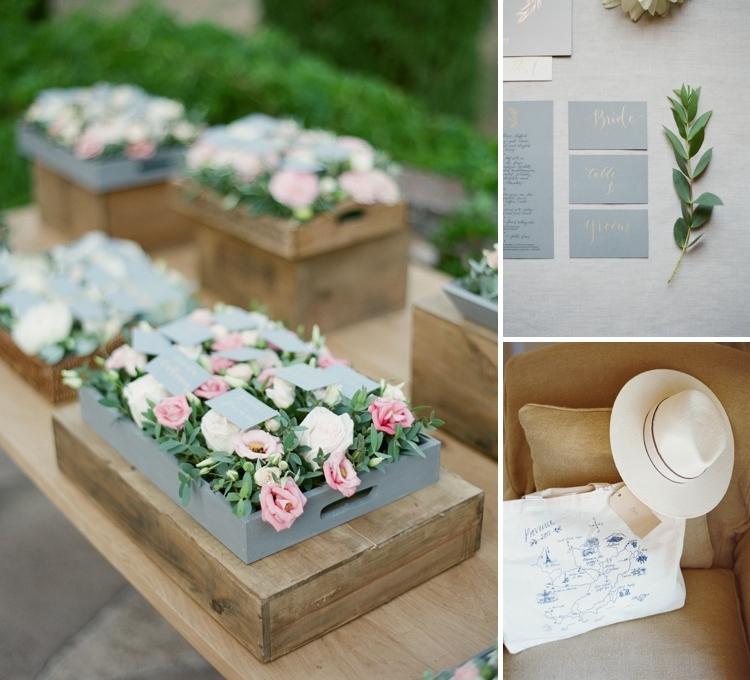 Lavender & Rose are a Smashing The Glass handpicked sponsor and this is a sponsored post. Find out more about sponsored posts here. My dream gift list from Prezola…. What would you choose?